After a successful extended discount on Camella Altea , finally CAMELLA SILANG is Here !!! Enjoy the COOLEST selling event of the month. Up to Php 100,000 BIG! BIG! BIG! DISCOUNT AWAITS YOU . July 28 Sunday 8:00 a.m. Onwards with sizzling concert. 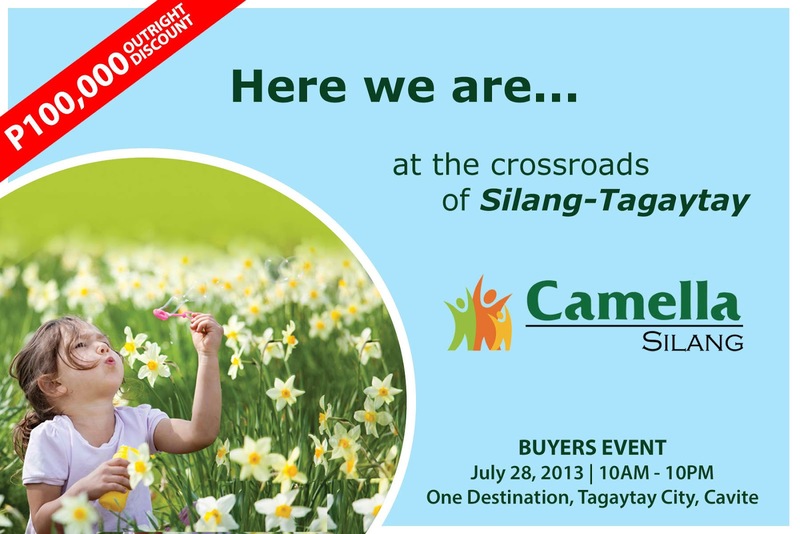 Experience the breezy, cool climate at Camella Silang life rises to a whole new level. 1 Selling Prices are inclusive of Miscellaneous Customer Charges. 2 The Developer reserves the right to rectify the figures appearing herein in the event of error or any unintentional error. 3 Reservation Fee is non-refundable and non-transferrable in case of withdrawal and cancellation. 4 All Payments are payable to HOUSEHOLD DEVELOPMENT CORPORATION,or HDC. 5 Bank Qualification is based on 8% interim rate for maximum of 20yrs. 6 Prices are subject to change without prior notice. 8 Other Payment options are available. Please contact your Marketing In-Charge. Camella Silang, a first class fully integrated residential community is situated on a 7-hectare prime land (expandable to more than 20 hectares) located along Aguinaldo Highway, less than 100 meters away to Tagaytay on the south and approximately 45 km south of Metro Manila. 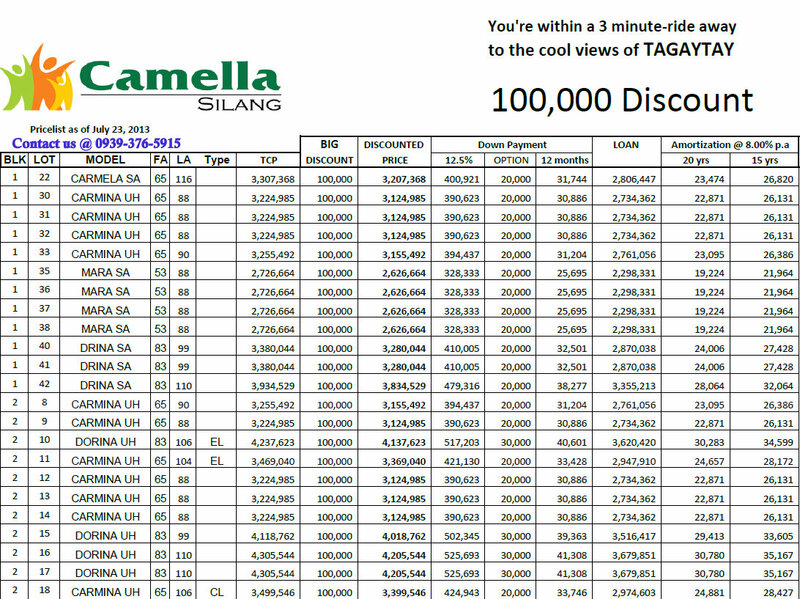 Read more about Camella Silang .